The HPL Board of Trustees will be meeting on Thursday, May 26 At 7:15 PM, in the library. All are welcome to attend. General Info: This program is suitable for children ages 3~12. Registration is not required, but recommended. The majority of activities will be held outdoors, weather permitting. Lunch is not provided during the Brown Bag Story Times, with the exception of the pizza party and fiesta. For more information or to register, call the library at 934-9712. If you wanted to say hello to everybody in the world, how many people would that be? How many languages would you need to learn? Here’s a hint: The planet Earth is home to hundreds of countries, with thousands of cultures, ethnic groups, and languages! So, do you have an answer yet? 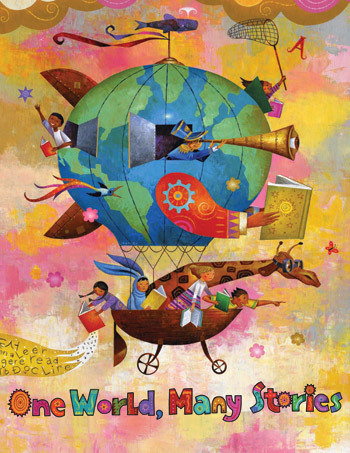 The Library is excited to announce, “One World, Many Stories”, its 2011 Summer Reading Program. Join us as we explore the globe through books, food, games, and other faraway activities. The only ticket needed for this journey is a library card! This six–week program will begin in early July, with activities planned for several days a week. A complete schedule will be available by May 31. Experts agree that children who read during the summer gain reading skills, while those who do not often slide backward. Reading for fun during the school break is one of many ways to avoid the “summer slide”. For other ideas, click here. Reading can take you to all the places you’d like to go this summer, without ever leaving the comforts of home. Why not “book” a trip at the Hill Public Library?